The heat of summer arrived several weeks ago (at least in Kansas), but today it's official. Summer begins at exactly 7:09 p.m. (EDT). 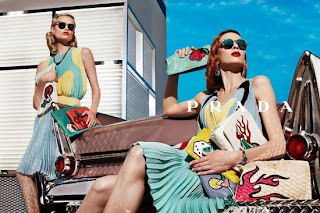 Although the season has just arrived, fashion houses began working on their summer ad campaigns months ago. It's appropriate that designers have chosen to market their colorful clothing in retro-themed ads, given that so many beloved styles from the past have returned to the runway this year. 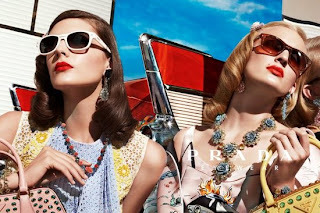 From Prada's gas station ads featuring 50s-style automobiles to Louis Vuitton's ice cream parlor campaign complete with treats, these charming ads seen on billboards and the glossy pages of magazines are sure to gain attention and boost sales. 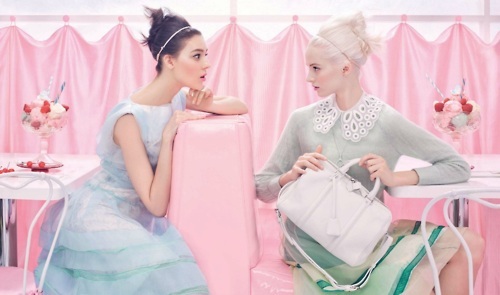 French brand, Paule Ka, has also embraced the retro-inspired marketing this summer by creating ads with a 60s vibe. Photographer Venetia Scott came up with the vintage campaign telling the story of a woman vacationing in Acapulco (supposedly THE place to be for a 1960s jetsetter). Fittingly, the hotel pictured in these ads was also the backdrop for the 1963 film "Fun in Acapulco" starring Elvis Presley. When it comes to summer attire, it's always best to stay cool and comfortable. I recently made a sleeveless top out of an extravagant Marc Jacobs embroidered silk satin twill with a floral pattern. 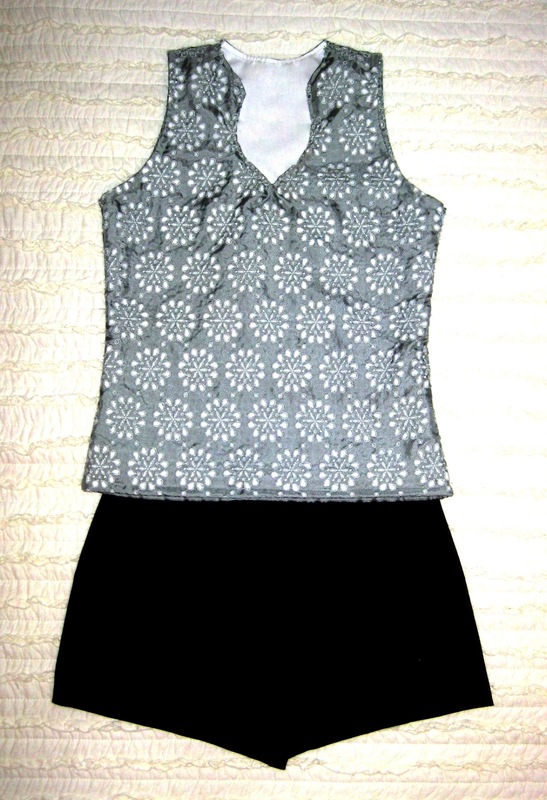 I cut a soft and feminine neckline and lined it with white poplin. 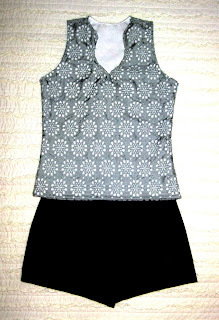 I paired the top with high-waisted black shorts I made out of a cotton twill by Theory. The high waist gives them a 40s feel. Perfect for a retro summer!